A Chilliwack car rental allows you to go where you want, when you want. You can explore all the sights, and even find out what else the rest of British Columbia has to offer. We've gathered your most popular questions about renting a car in Chilliwack. Find out the dos and don'ts of renting a car. Where can I get a bargain rental car in Chilliwack? These tips can help you save even more on your next car rental in Chilliwack. What rental suppliers have outlets in Chilliwack? 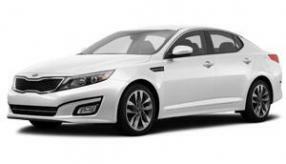 In Chilliwack, CarRentals.com has a few car rental providers to decide from, like Avis. Look through the reviews to help you figure out which is best for your next trip. 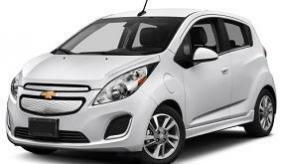 What type of rental car should I get for my trip to Chilliwack? What's the age requirement to rent a car in Chilliwack? Normally, to rent a car in Chilliwack you must be at least 21. But, you may find that there is an added charge if you are under the age of 25 or for higher category cars. Go through the terms to figure out what any additional fees will be before you reserve your rental. Do I need insurance to rent a car in Chilliwack? Insurance is always needed, no matter where you rent a car. With that said, your current car insurance may cover you. Additionally, if you pay for the rental in full using your credit card, the card's benefits may also insure you. Keep in mind, these policies may not provide 100% coverage, and you'll need to add it to your booking for Chilliwack. Check ahead of time and, if it is necessary, you can just include it at checkout. At CarRentals.com, we recommend a full to full policy. You should get your vehicle with a full tank, and you will want to return it with a full tank of gas. To avoid any added expenses, find a gas station before you bring your car back. Unlimited miles is a good choice if you decide to do a bit of sightseeing or visit a lot of business associates all over Chilliwack. You can drive wherever you want and not incur additional charges. Review your rental agreement to discover if there are any limitations. Maybe you're traveling solo, maybe you're bringing your partner or kids, or maybe you're carpooling with co-workers to and from the hotel to the conference center. No matter who you are traveling with, CarRentals.com has a rental car that can fit your needs and not deplete your travel piggy bank.